Offering Foreclore and Short Sale Assistance! Despite best intentions, some homeowners find themselves unable to meet their mortgage obligations. With a short sale the home owner still has his name on the title and the listing agent represents him. In the case of foreclosure the lender/bank is in possession of the property, and the homeowner has no say in the selling process. 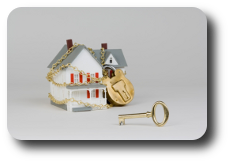 When a home owner falls behind on his mortgage payments, the lender may initiate foreclosure proceedings in order to take ownership of the property. Since banks have different procedures, it depends on the individual scenario when they will start the foreclosure process. Where Deeds of Trusts are used, the home owner generally has fewer than four months before the sale of the property. With Mortgages, the time frame is nearly a year. This includes a redemption period during which the seller can avoid foreclosure by paying what is owed, including interest and foreclosure costs. We understand the proceedings for the state of Florida and will be happy to help answer your questions. When a foreclosed home is listed on the market, the selling agent works for the bank, not the individual who owes on the mortgage. Buyers should have their own agent who can address any property condition problems and title issues. While a bank will generally sell the property "as is," its is favorable for the buyer to present offers with a home inspection contingency to protect their interests. Once the offer is submitted, it may take a long time for the lender to respond. Buyers who are financing often lose out to competitors who offer cash. Buyers should also obtain title insurance when paying for the home in cash, even if it's not required by law. Blue Water Realty Group has helped many people through the process of purchasing a foreclosed home. Contact us for a current list of available bank owned properties. A short sale can only happen when the lender agrees to accept an amount less than the outstanding mortgage balance. Lenders may go this route in order to avoid the costs of foreclosure proceedings or to eliminate the risk of the home not selling at all as a foreclosed property. 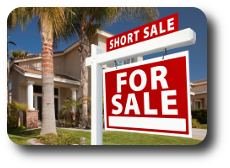 A short sale can be a lengthy and complicated process, especially without a knowledgeable and experienced real estate professional handling the full proceedings. In order for a seller to obtain approval from his lender for a short sale, he must meet certain qualifications. These include loss of market value of the property, default or near default status on the mortgage or personal hardships like unemployment, bankruptcy, divorce, prolonged illness and death. In addition, the homeowner will need to prove that he has no assets. If he has assets, he may qualify for a limited short sale and be required to pay the difference. Purchasing a short sale currently can bring big rewards in the future. Many investors choose to purchase short sales for income property, while individuals usually purchase short sales for the good deal. Blue Water Realty Group can help you find a good short sale home, contact us today to get started!